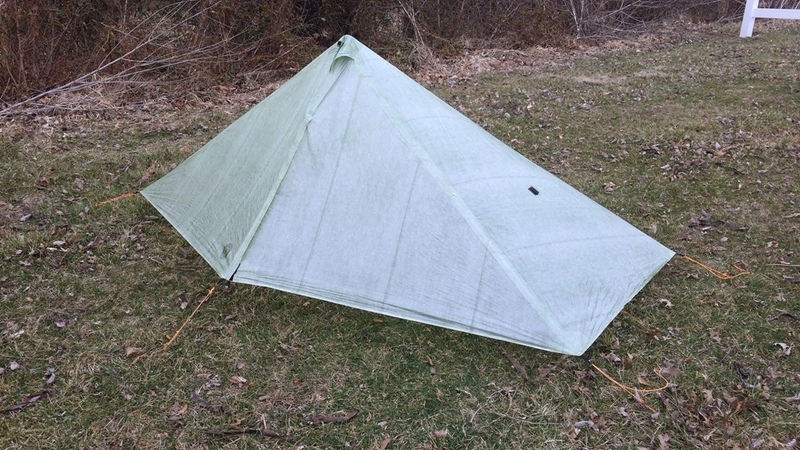 BIG NEWS: I made the plunge and picked up the Six Moon Designs Deschutes CF (Cuben Fiber) tarp (featured photo)! SMD added LineLoc #3’s to each tie-out for me to make it easier to adjust the guy lines, a compromise due to the tremor. The LineLoc #3’s necessitated heavier cord so I went with 2 mm Glowire from Lawson Equipment and used a Taut-Line hitch at each stake end. Finished weight with the LineLoc #3’s, 2mm Glowire and stuff sack came in at 8.46 oz. A tad more than I expected but that’s still pretty freakin’ light. So, couple that with a polycro ground sheet and I should shave nearly half a pound. Excellent! I’ll post some pics with the Exped pad and down quilt soon so you can get some perspective as to the size. Let’s just say that even when pitched nearly to the ground I should have ample clearance all the way around. And since the material is 0.74 oz/yd2, it should be pretty much bomb-proof. Picked up some Ti foil from Titanium Goat and made a windscreen/pot stand for the Heini keg setup. 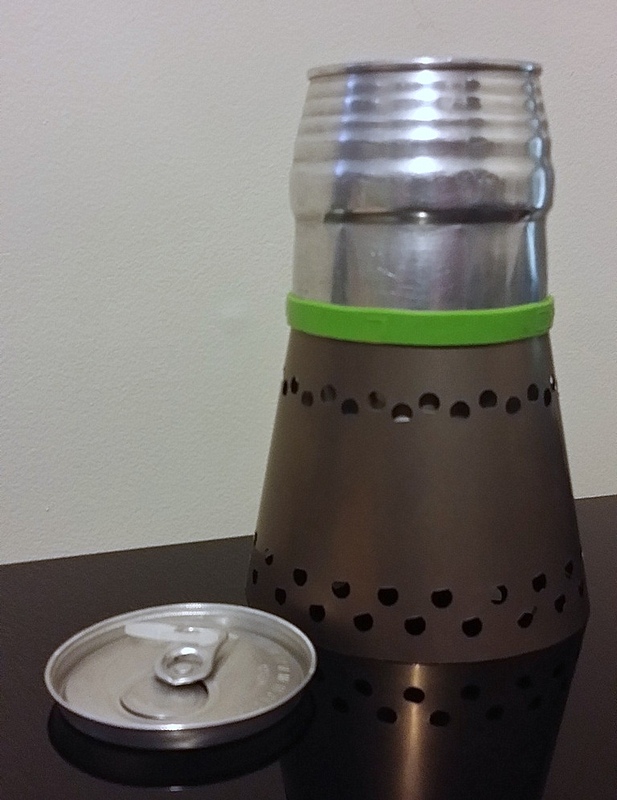 I’m going to run some tests with solid fuel tabs (Esbit) and, if all goes well, I’ll leave the Ti JetBoil behind. The Ti JetBoil weighs in at a whopping 11.08 oz sans fuel canister. A full small fuel canister adds approx 7 oz. so 1 lb combined to start off the hike. The Heini keg with Ti windscreen comes in at 2.05 oz and a single Esbit tablet still in the plastic and foil packaging weighs 0.51 oz. Each tablet, along with a Vaseline soaked cotton ball, will be repackaged in aluminum foil. The Vaseline soaked cotton ball should make it much easier to get the tablet burning and the aluminum foil will serve as a stove, retaining any liquified Esbit. So, I still need to determine the actual weight of a repackaged tablet but wouldn’t expect it to be over 0.6 oz. I’ll probably do just one boil each day, for dinner, so I should only have to carry seven or eight tablets, and that’s assuming it takes an entire tablet to do a boil. It wouldn’t surprise me if I end up dropping a half pound or more just by going with this setup but I should know exactly how much soon. On the fence with respect to swapping out the Exped pad for a trimmed Z-Lite pad. Since the Smokies and their shelter restrictions are behind us and we can tent each night I don’t know that I’ll miss the air pad as much. Ask me after the trip and I might tell you otherwise but I can lose approx a half pound by going with the torso length foam pad. I’m gonna try using 1L Platypus bottles instead of the hard plastic juice bottles this year. Since the Platypus bottles don’t have a wide mouth I’ll just cut down an old 2L Platypus bottle I have to use as a water scoop to make filling the 1L bottles easier. Even with the water scoop I should shave over an ounce. 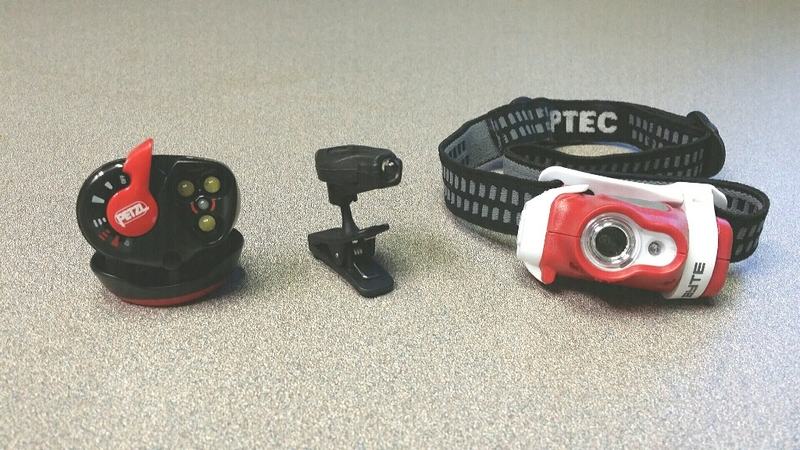 Shave over an ounce by going with a Petzl e+Lite headlamp vs the Princeton Tec Byte. I had moved away from anything using the small CR2016 & 2032 batteries such as the Photon lights because changing the tiny things is such a pain with the essential tremor. Changing batteries in the e+ is much easier though so I picked up one of those. One thing that does concern me is that it has less than half the claimed lumens compared to the Byte (26 vs 70) and the Byte is not exactly the brightest headlamp to begin with. Not the sort of lamp you would want to do any serious night hiking with. The homemade cuben pack is still going strong (in fact, I don’t see any signs whatsoever of wear and tear…though it only has 300 miles or so on it) but I’m thinking I could trim some weight from it. This one’s gonna come down to a matter of cost and time vs weight savings. Do I wanna drop another $50-60 and spend the time putting the thing together to save 3-4 ounces? Probably not this year but you can bet that I’ll be working on one for next season. Oh, and Pumpkin Head got me a pair of PossumDown gloves from ZPacks (size XL) for my birthday and they are nice! And they actually save me 0.09 oz vs the SmartWool liner gloves. This is getting ridiculous. On another note, I gotta say “REI ROCKS!” I mentioned in the last post that Deep Woods and I wound up ordering the Osprey packs online after trying them out in the store. REI was offering the pack along with matching cover and dry sack for the same price as the pack alone but it was only available to REI members ($20 for lifetime membership) and you had to order it online. Fine with us. So, mine arrived and low and behold, no cover or dry sack. What the heck? I called REI and they tell me they’ll ship them ASAP….but the dry sack won’t be the same color. They were out of stock. I told ’em “No big deal – I’m cool with whatever color” and then they tell me they’ll send me a $50 REI gift card for my inconvenience! What inconvenience? A five minute phone call and a dry sack that’s a different color? How cool is that? Naturally, I accepted. Cover and dry sack have been delivered and all is well. Hats off to REI customer service! As soon as the Englightened Equipment Accomplice quilt shows up I’ll be loading the pack up and will post some pics. Very cool pack. Not exactly light, mind you, but the fit is sweet! I should be able to carry most everything for Loonie and I, including the BearVault. And I honestly don’t think I’ll hit the 40 lb mark. We’ll see. Lastly, it’s official: Google is ending development and support of Picasa on March 15th. You can find the details here but long story short is that any new albums will have to be created in Google Photos. There’s still a couple of things I wish they would address, such as displaying image captions and a method of sharing a single link to all of your public albums rather than having to provide a link to each one individually. But the alternative is to start from scratch and move to Flickr or whatever and that would be a crap load of work. I’ve already started updating the links here to point to our Google Photos albums. Just need to change a few more and we’re good to go.